1. To get the skin to crisp and stay attached to the fish and not the broiler pan, be sure to spray some oil both on the pan and on the skin of the fish before placing it on the pan. 2. A small whole fish takes about 15-20 minutes. A larger whole fish can takes up to an hour. 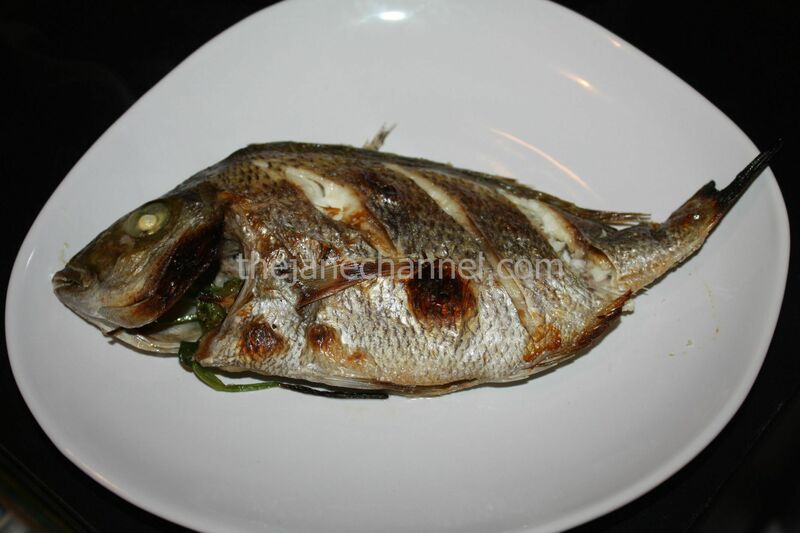 Cook until fish flakes easily when tested with a fork or toothpick. Clean, scale and wash the fish. Season with salt and pepper. Make 3 parallel diagonal cuts in the thickest parts on each side of each fish. Tuck the oregano, parleys, onions, and 2 slices lemon into each fish. 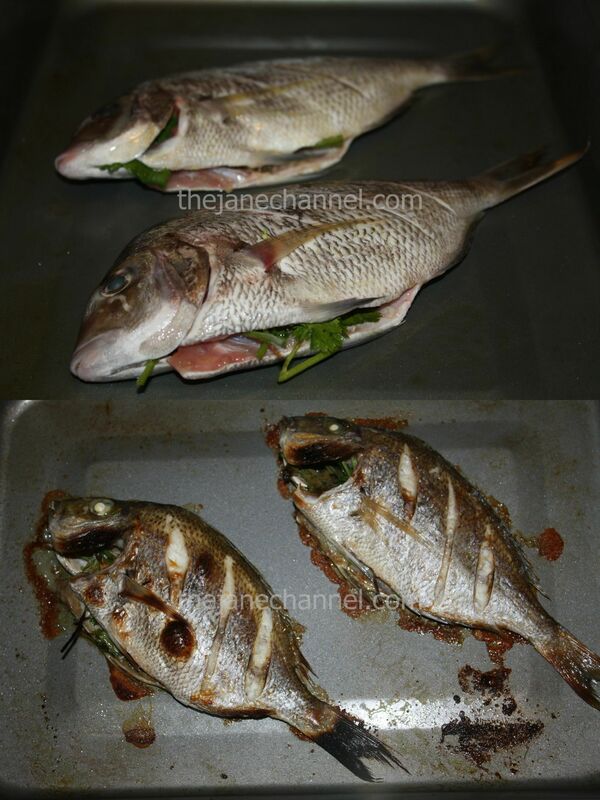 Spray or brush with oil, then place the fish in a well greased broiler pan. Place pan under preheated broiler 4 inches from the heating source. Broil for 15 minutes or until fish browns and flakes easily with a fork.